ESL pasteurizers | Reda s.p.a. These plants have been developed by REDA S.p.A. for the production of milk E.S.L. (Extended Shelf Life) and they are completely automated with supervision. 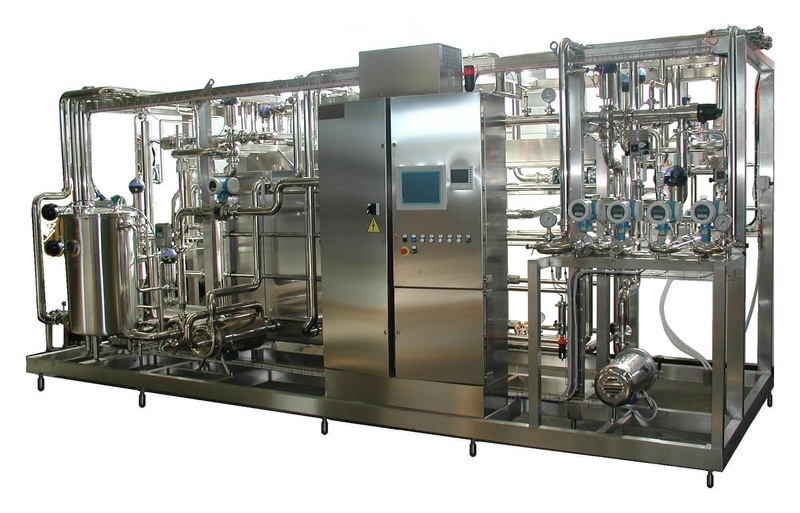 Compared to the traditional pasteurizing plants (H.T.S.T. ), these plants pasteurize fresh milk by heating the product at higher temperatures. Once pasteurized, the product is kept at +4°C, it’s distributed in the consumer market and lasts about 3 weeks from the filling date. The E.S.L. plants by REDA S.p.A. grant high quality of the pasteurized milk, great reliability, long and high capacity productions, and a high thermic regeneration with subsequent notable energy saving (up to 90%). The compact and robust design permits a simple and quick installation on site, fast commissioning times and very easy command and control.